WINNER has decided to return with a single before the year’s end. 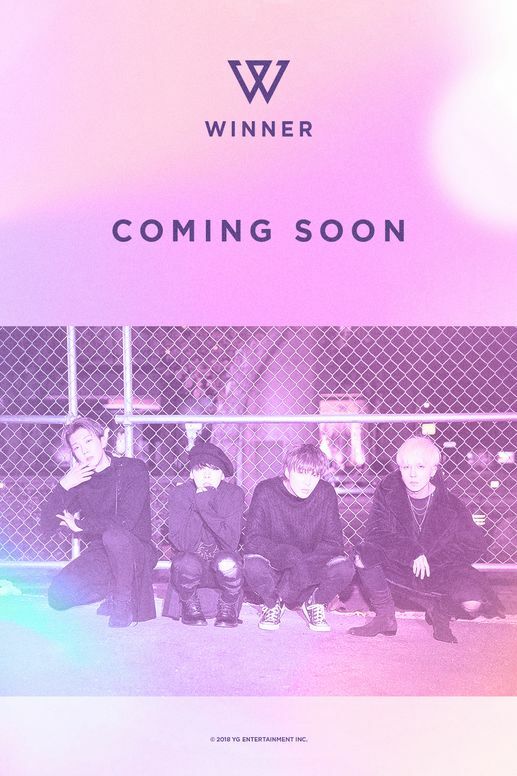 On Tuesday, YG Entertainment releases a WINNER’s “Coming Soon” poster on its official website and on social media. Pink dominates the poster, giving it a dreamy feel as the found members of the group, who are dressed in all black, crouch by a fence. Although they are returning later this month, there will not be an album to accompany their new song. Instead, they have decided to postpone releasing one until February next year when their overseas tour ends.